All parents usually try their best to help their children and young people to grow and develop to their full potential but sometimes this can feel really challenging for parents especially when children hit their teenage years. Young people face a lot of challenges during their teenage years and sometimes, no matter how well they get on with their parents, they may find it hard to talk to them. 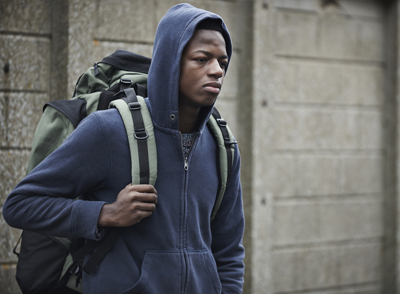 Often having a problem or concern can affect a young person’s behaviour, school-work and relationships at home and this can be worrying for them and their parents. Working with a counsellor, who is independent of all these, may be able to help. Counselling offers young people a space to talk about their thoughts and feelings in a safe environment. It helps them to share any worries or problems they may have and to build their confidence and self-esteem. Counsellors are trained to relate well and to listen without judging. They can help young people express and explore their thoughts and feelings about what is worrying them and make some sense of their responses and experiences, enabling them to manage themselves more positively. What is discussed during the sessions is confidential, but the young person is told that the counsellor may discuss their problems with other people and agencies and get help from them if he or she thinks the young person is at risk or in danger. What issues can counsellors help with? 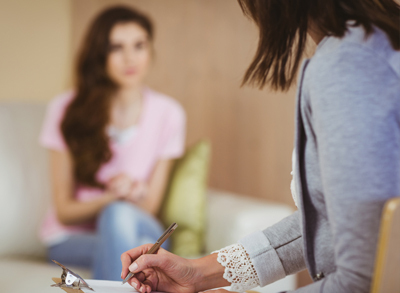 Step2 has a team of counsellors who are carefully selected for their experience and counselling qualifications. They are all fully qualified and are members of the BACP (British Association of Counselling and Psychotherapy). As such they adhere to the BACP Ethical Framework for good practice. They are all required to provide references to show their suitability for the post and pass appropriate police checks. They will have obtained, or be aiming for, BACP accreditation or equivalent. All the counsellors at Step2 have significant experience of working with young people. How can a parent or carer support the counselling? If you think your young person might benefit from counselling, talk to them about it, show them this website and see what they think. Our experience tells us that counselling works best when young people feel it has been their choice and decision to attend rather than being told they have to come. If your young person engages with counselling, it will help if you show an interest if they want to talk to you about it, without pushing it if they prefer not to discuss it. If you are able to support with reminding your young person about their appointment and getting your young person to their appointment, then that can help. It is important to note that counselling is not a ‘quick fix’, and sometimes it takes a while to feel the benefit. How can my young person access counselling and what happens when they do? You will be contacted by the counselling manager who will arrange an appointment with one of the counsellors. The appointments are between 4pm-7pm on weekday evenings. We try to see people as quickly as possible but sometimes there is a short waiting time. You may drop your young person off at the start of their sessions and collect them at the end. The sessions last for 1hr. You are welcome to ask to meet with counsellor at the start of the first session so you know who your young person is seeing. However, the counsellor will not be able to share the content of the counselling sessions with you. During the first session the counsellor will explain how they work to the young person and they will decide together what the focus of the work they do will be. The young person will be given a choice about whether to return. If they chose to engage, they will be asked to attend every week for six weeks. At this point the counsellor and the young person will review the work they are doing and decide whether to continue for another six weeks if necessary. If the young person feels they have done enough, they will end the work there. 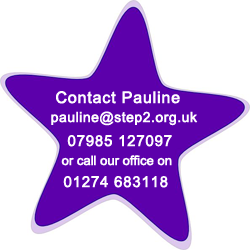 If you have any concerns whilst your young person is seeing a counsellor at Step2, you can contact Pauline the counselling manager. If your young person accesses counselling at Step 2 they will also be offered the opportunity to work with members of their family. Family work consists of up to ten sessions where a young person and their family are offered the opportunity to work together with their counsellor and another trained therapist to help understand and work through the issues that are bothering them. This is not compulsory and will only happen if the young person and their family members are all willing to engage in the process.